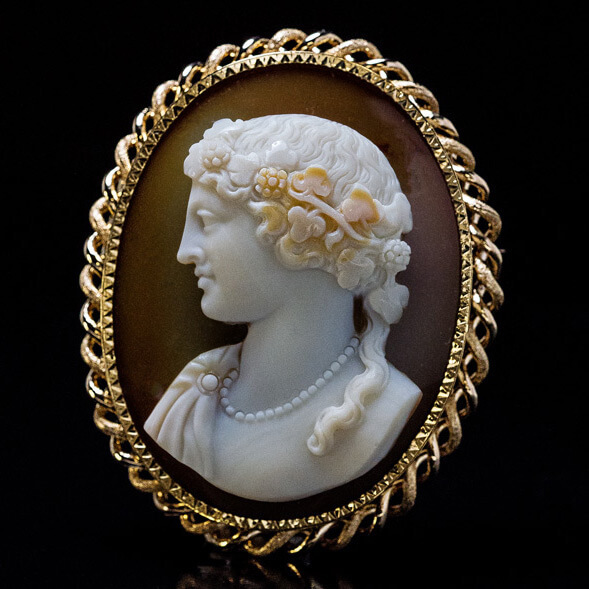 Superbly carved in high relief sardonyx, this brooch’s cameo depicts a classical profile of a lady wearing a grapevine wreath (probably a Bacchante, a female follower of Bacchus, the Roman god of winemaking and fertility). 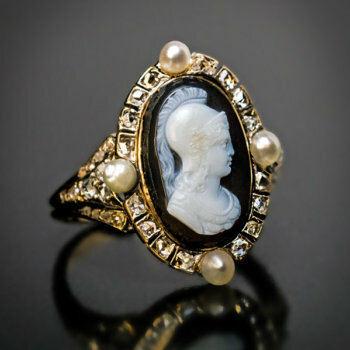 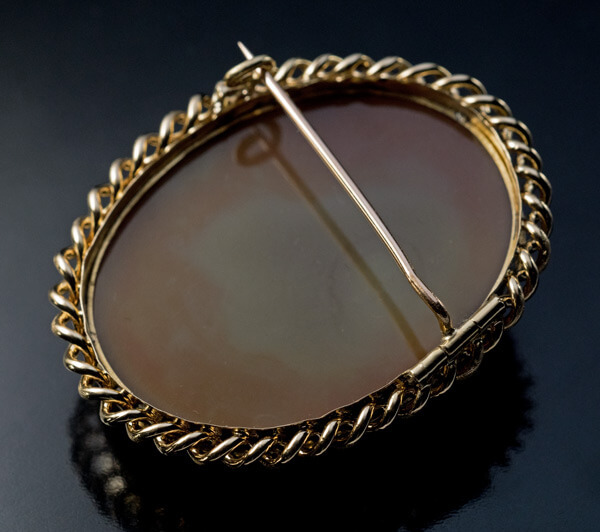 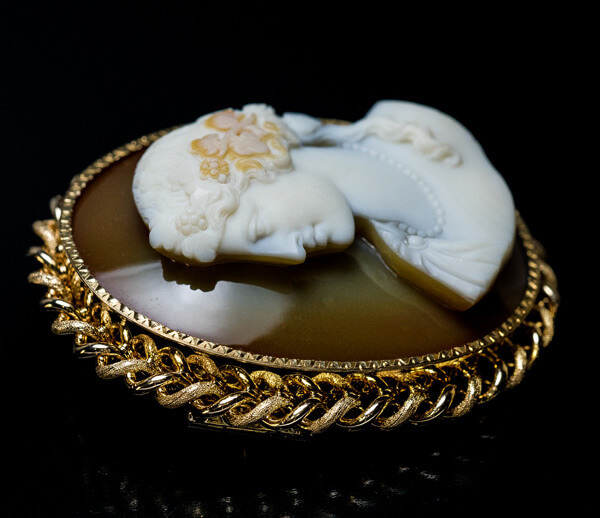 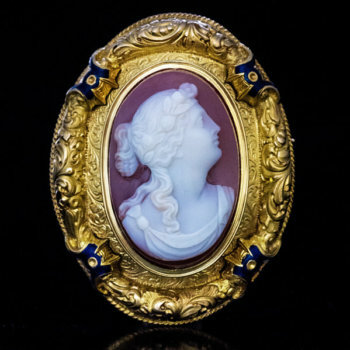 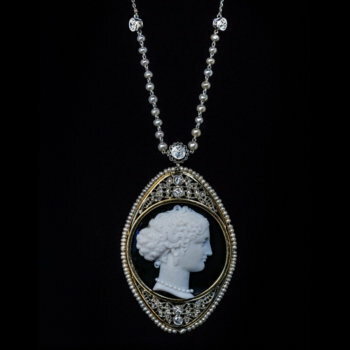 The impressive large cameo is set in an 18K gold frame that is stylized as twisting grape vines. 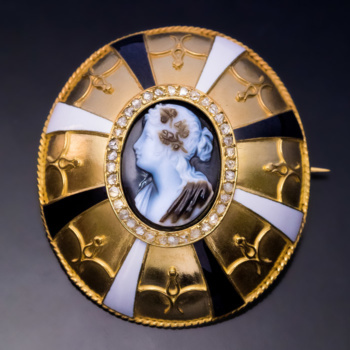 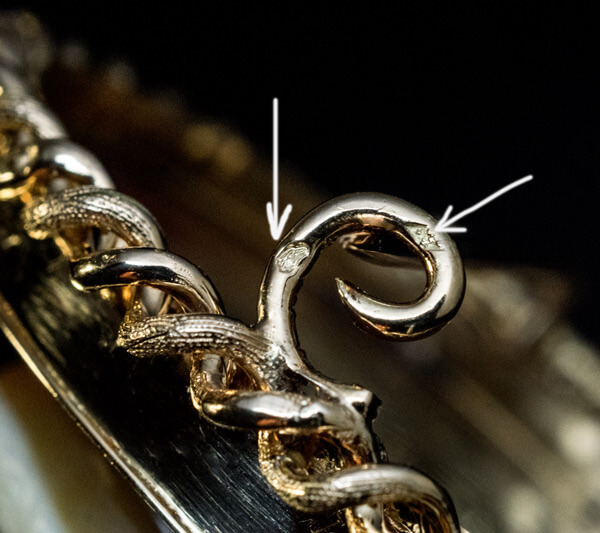 The brooch is marked on pin guard with French eagle’s head assay mark and maker’s mark.